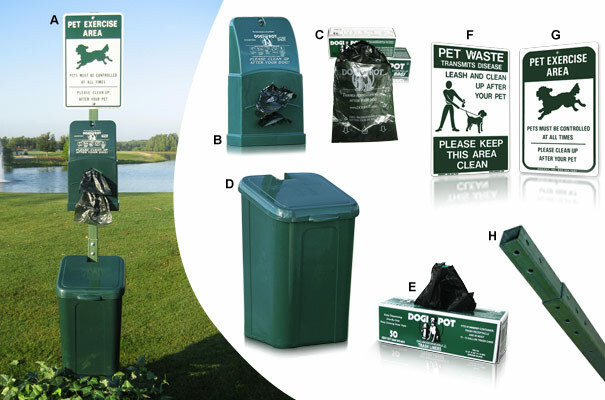 Encourage a pet pollution free zone with the easy to use DOGIPOT® Polyethylene Plastic Pet Station. 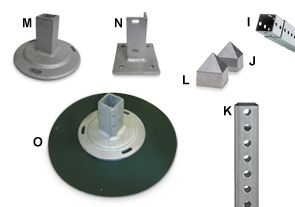 Sold as a complete station or buy each of the individual components separately. C - 2 Rolls of 200 count OXO 8"W x 13"H opaque green litter pick up bags with perforated separation. H - A 2" x 2" x 4' to 8' tall telescopic green polyethylene plastic mounting post with two carriage bolts ( 2-1/2" x 5/16" Dia. ), washers, and locknuts.